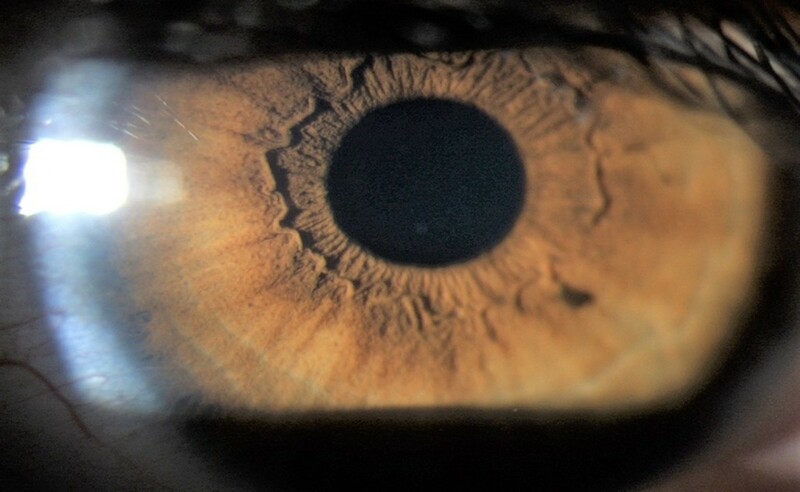 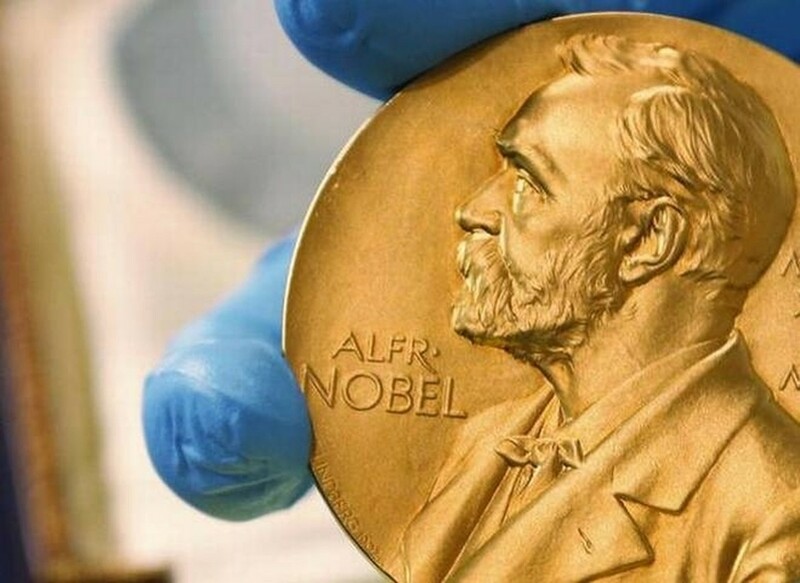 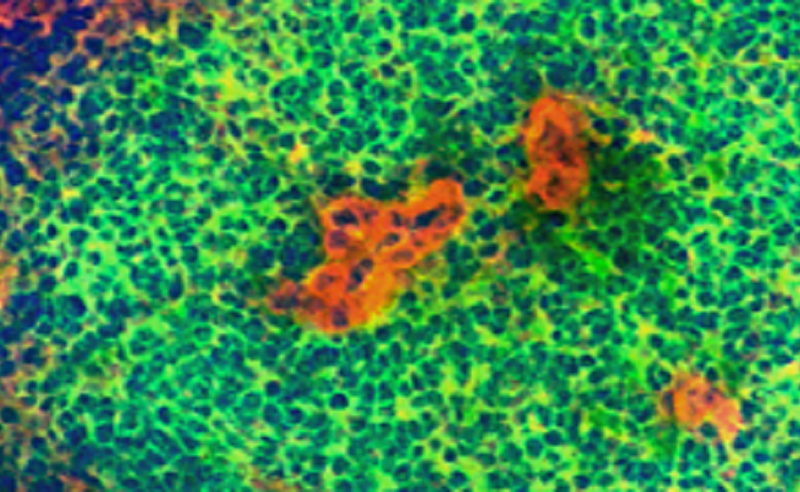 Researchers at the Laboratory of Preclinical Investigation at the Institut Curie in Paris (France) have been developing animal models of human uveal melanoma and liver metastases as early tools in drug development. 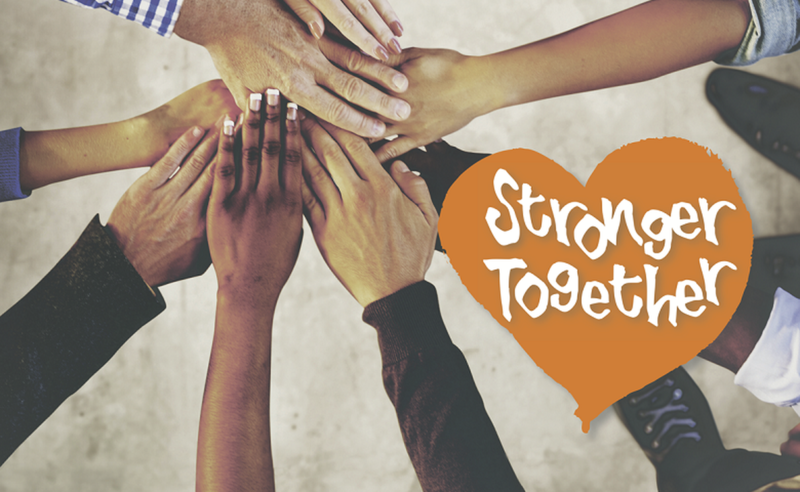 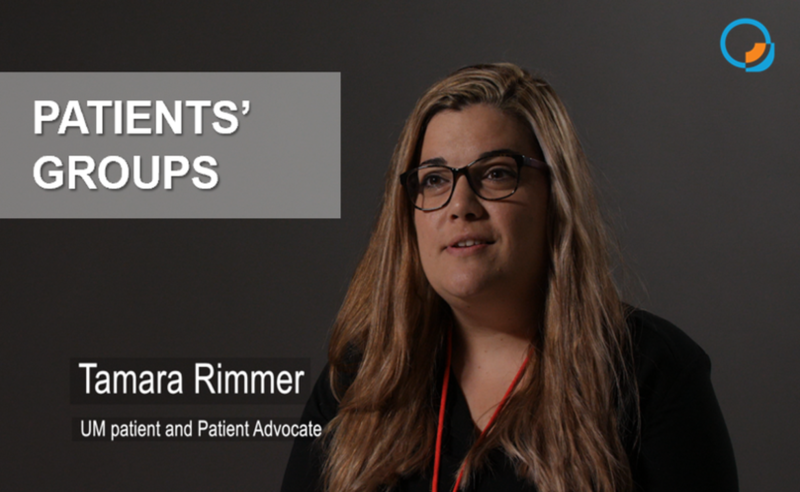 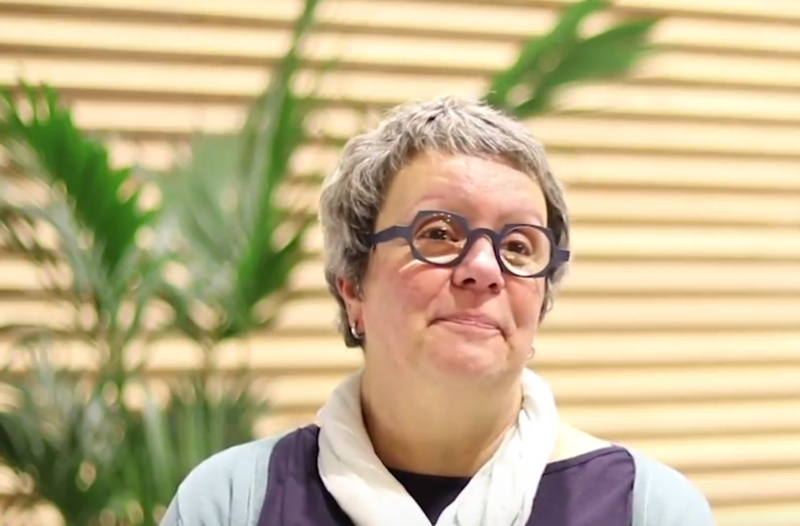 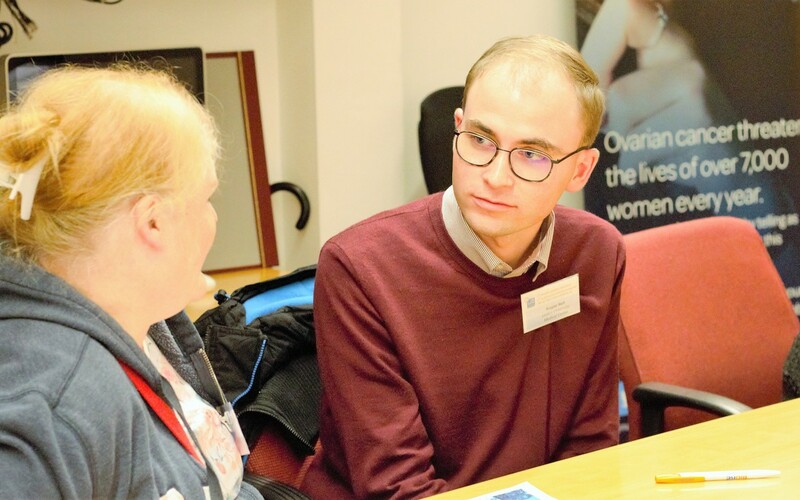 In this video, Tamara Rimmer, uveal melanoma patient and Ocumel UK Patient Advocate, talks about the role of Patients' Groups. 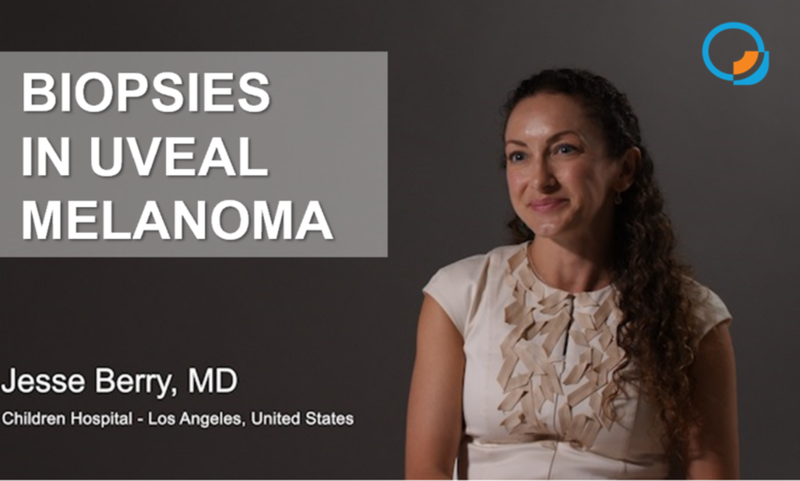 In this video Dr. Jesse Berry explains how and why to perform a biopsy in a patient with uveal melanoma. 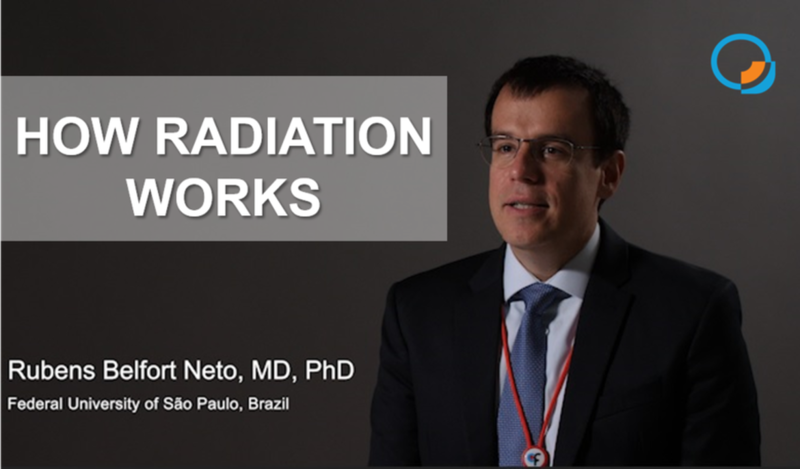 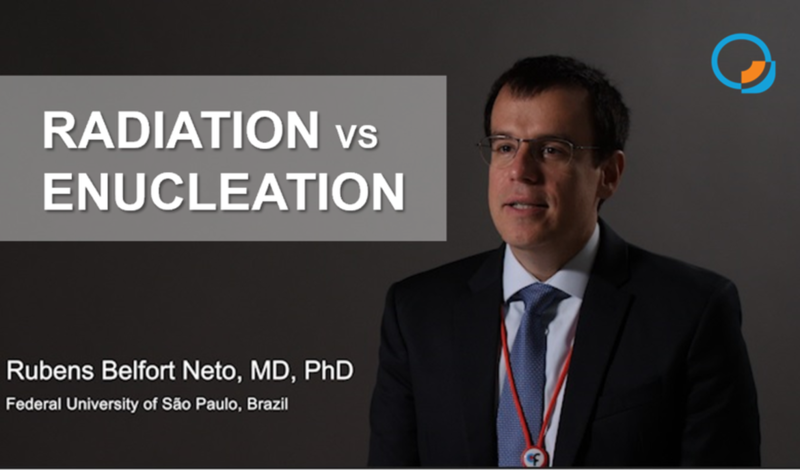 Professor Rubens Belfort Neto, MD, PhD, discusses the differences between radiation and enucleation for the treatment of uveal melanoma. 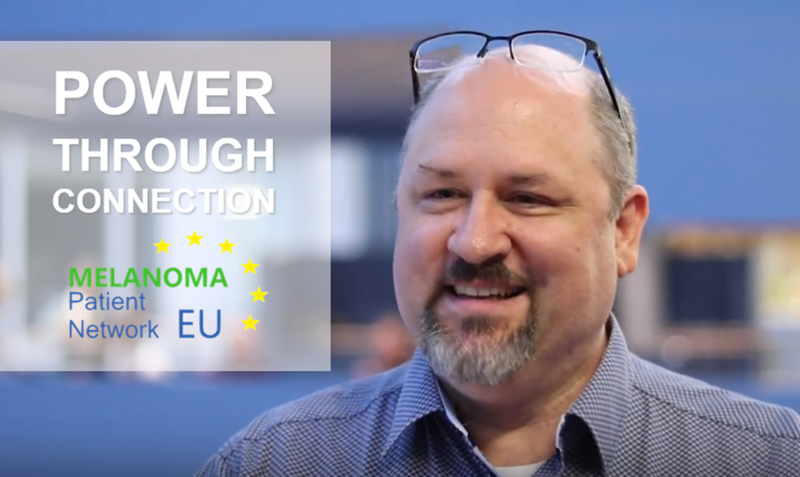 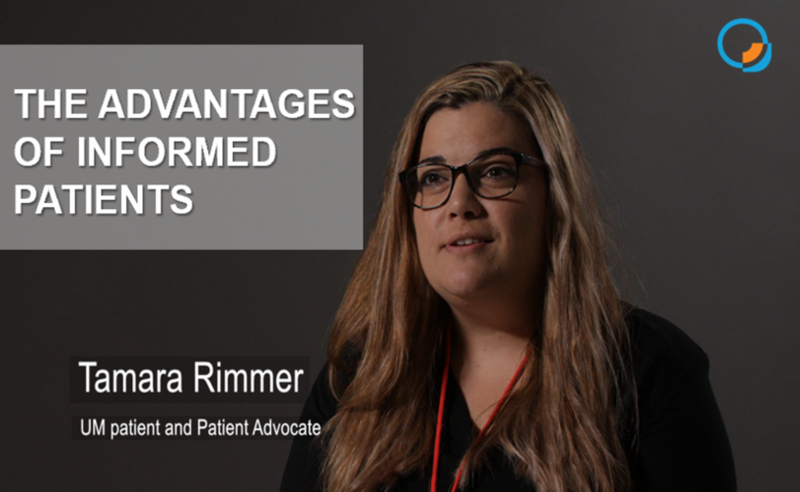 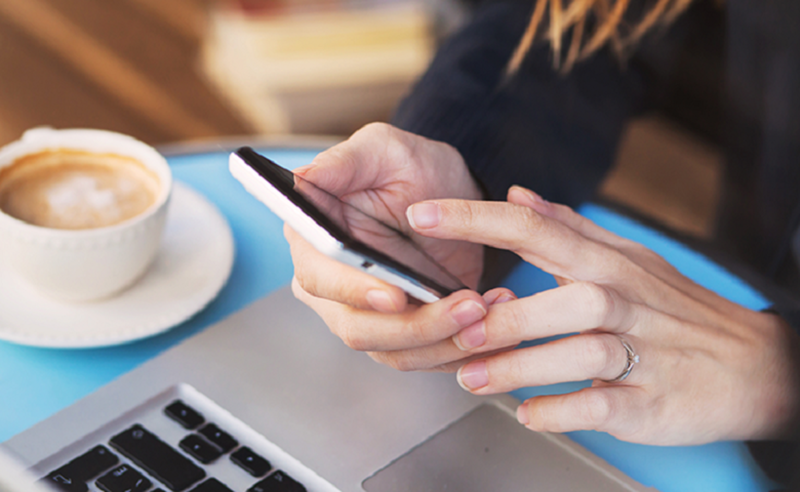 In this video, Tamara Rimmer, uveal melanoma patient and Ocumel UK Patient Advocate, talks about why it is advantageous, for both patients and physicians, to have better informed patients regarding their disease. 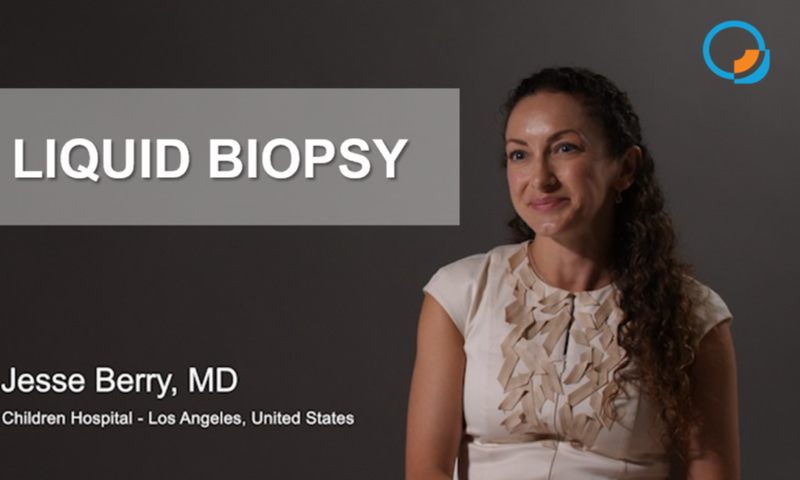 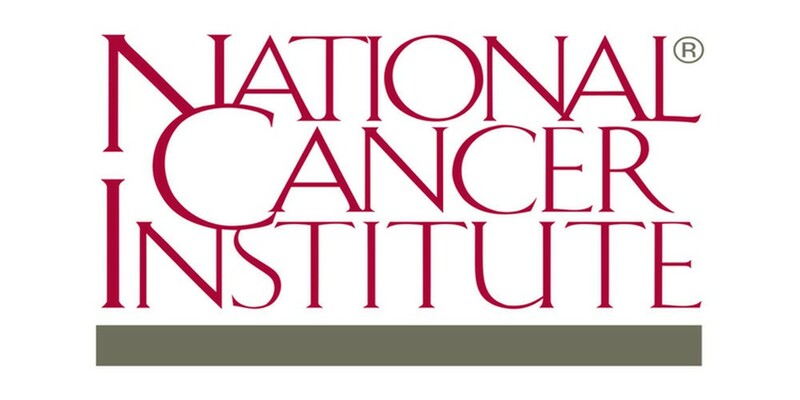 In this video Dr. Jesse Berry explains the concept of liquid biopsies. 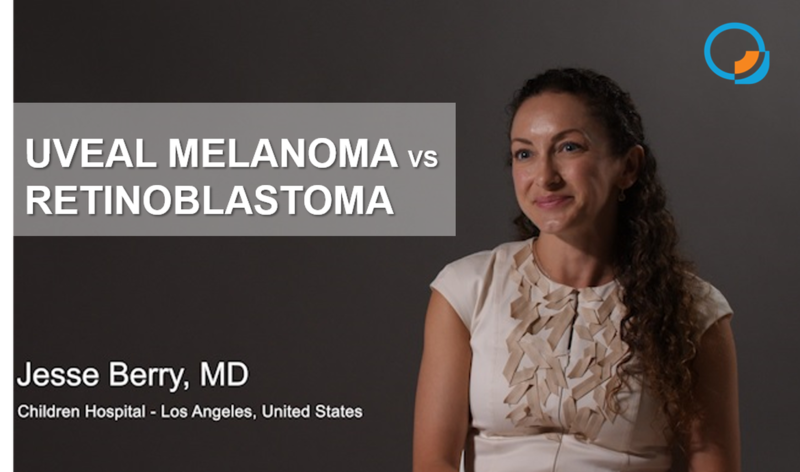 In this video Dr. Jesse Berry explains the differences between uveal melanoma and retinoblastoma. 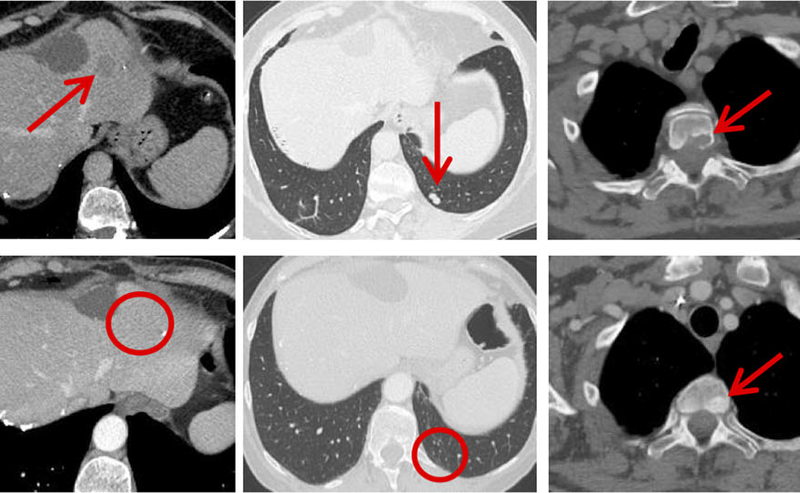 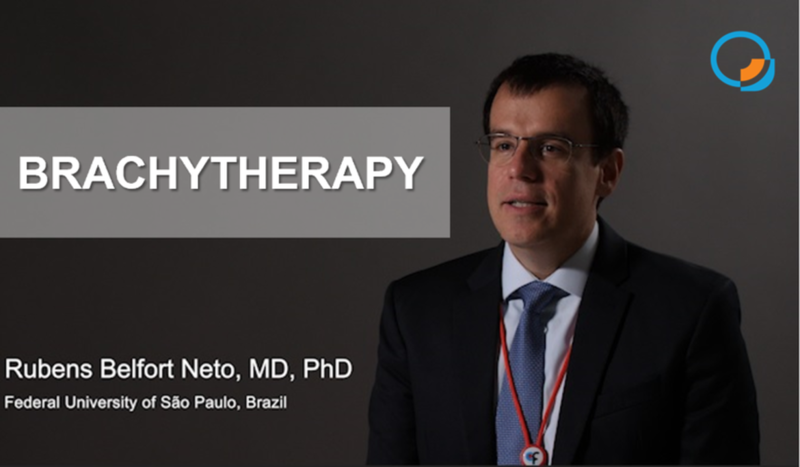 Treatment of the intra-ocular tumour in UM: does it matter? 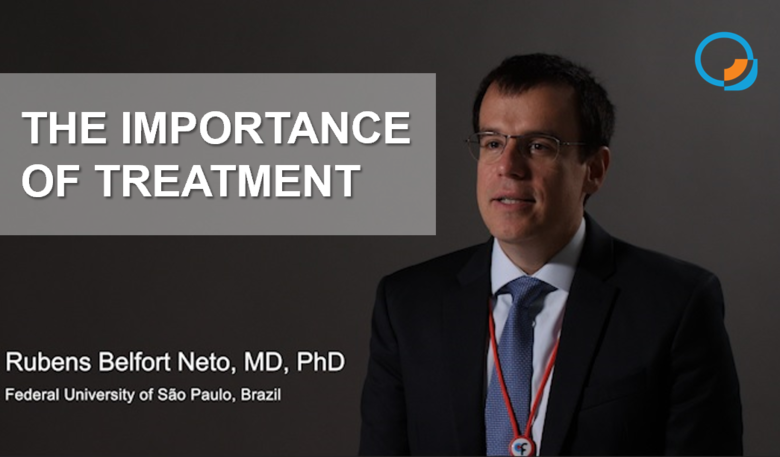 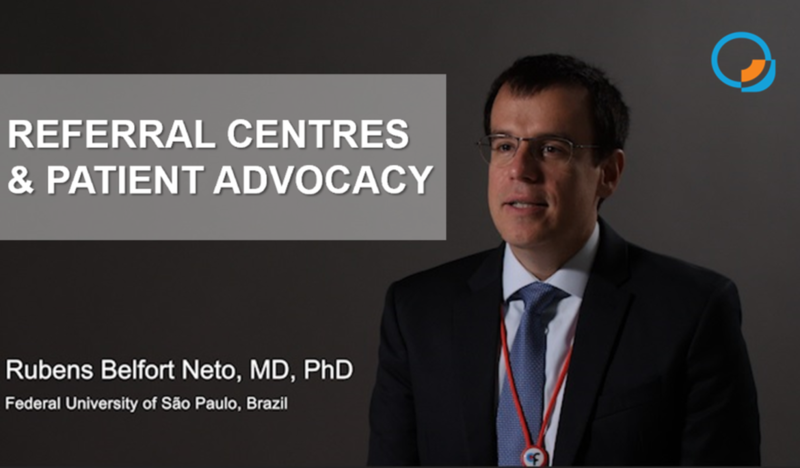 Professor Ruben Belfort Neto, MD, PhD, talks about how the treatment of the primary tumour (in the eye) affects the development of metastatic disease (most often in the liver). 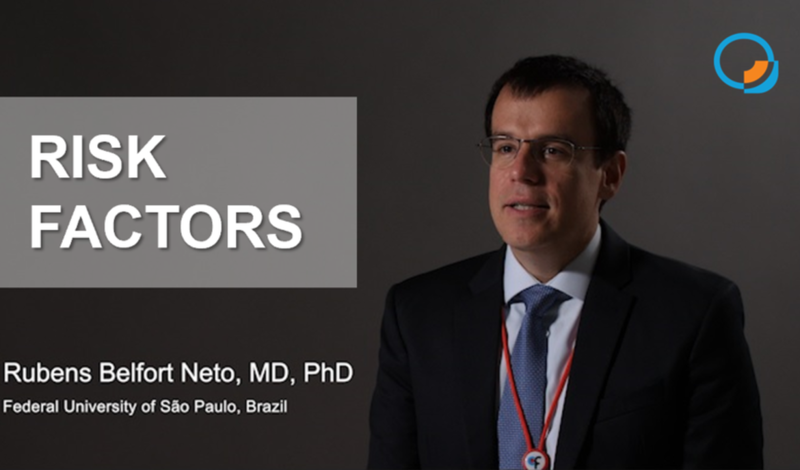 Professor Ruben Belfort Neto, MD, PhD, talks about the importance of patient groups' when dealing with uveal melanoma. 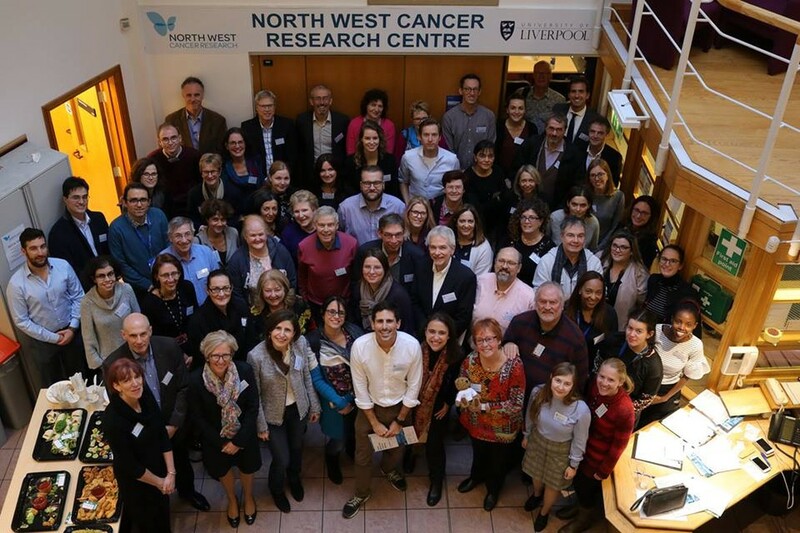 As the ARVO Ocular Oncogenesis and Oncology Conference comes to an end we cannot help but smile when looking back and see all that was achieved during these past days. 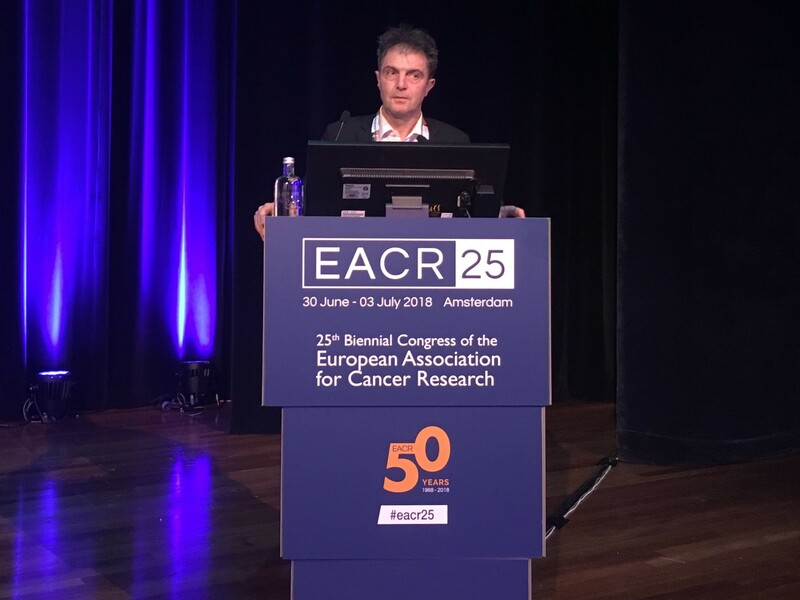 Dr. Sergio Roman-Roman talked about recent findings regarding uveal melanoma at the 25th Biennial Congress of the European Association for Cancer Research. 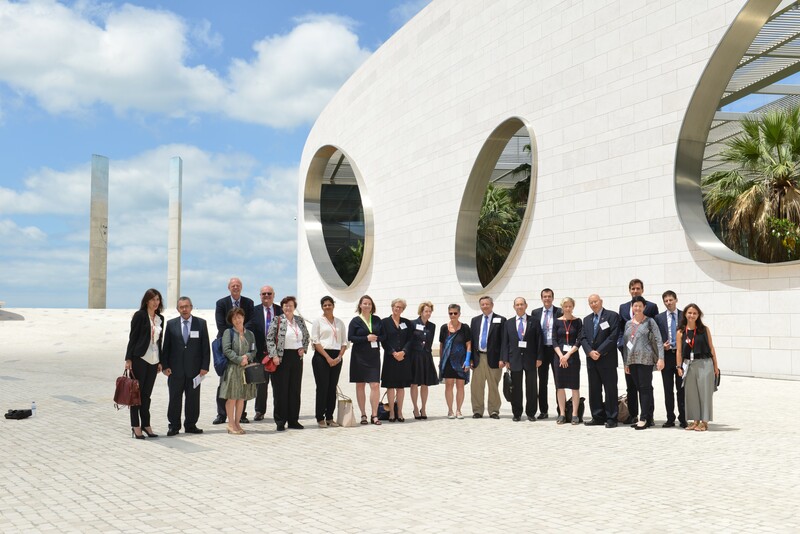 The World Ophthalmology Congress, organized by the International Council of Ophthalmology, was an outstanding meeting! 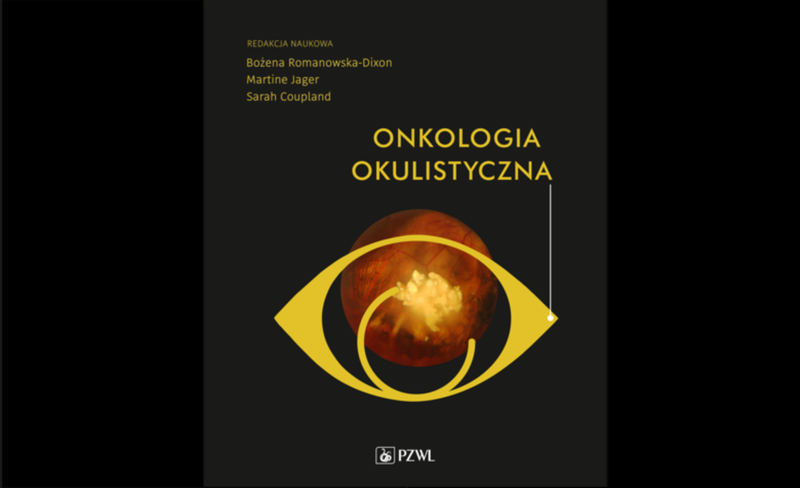 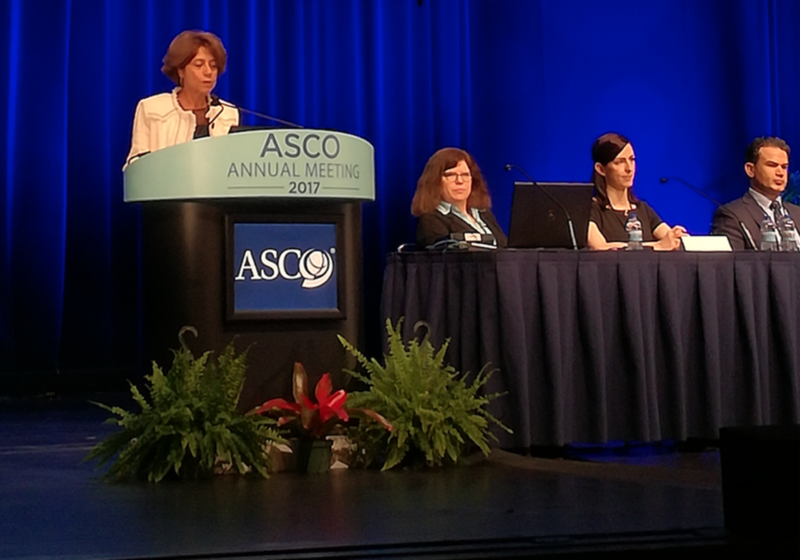 It was really motivating to see how multiple groups across the world are fighting uveal melanoma, both in the clinic and research settings. 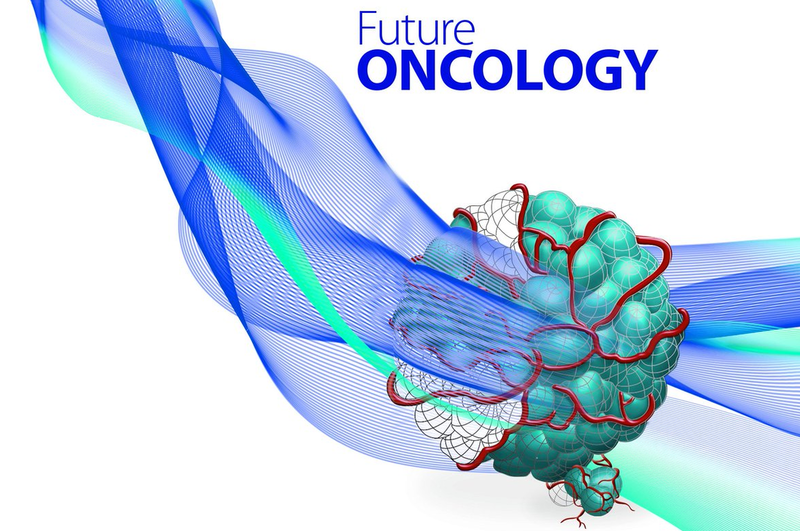 Digest of the paper "Treatment of uveal melanoma: where are we now?" 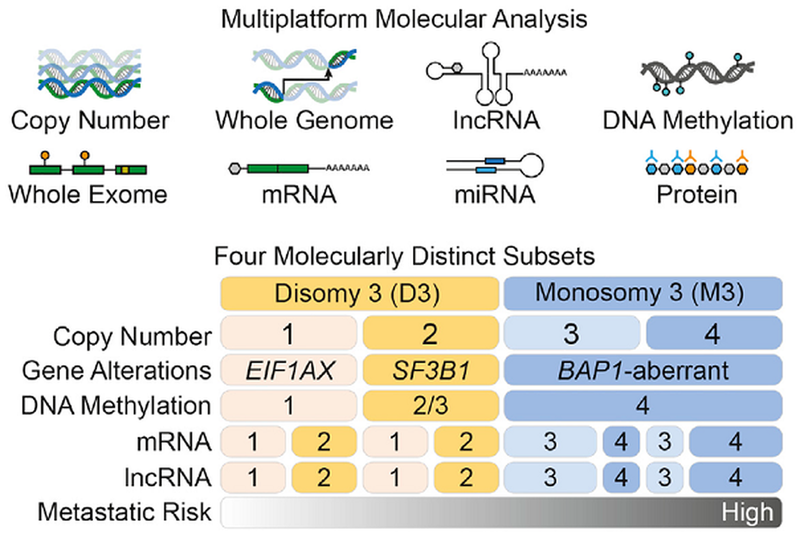 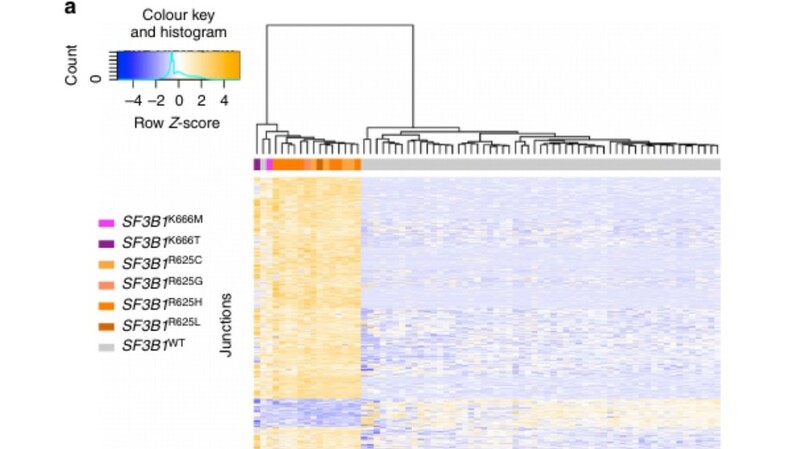 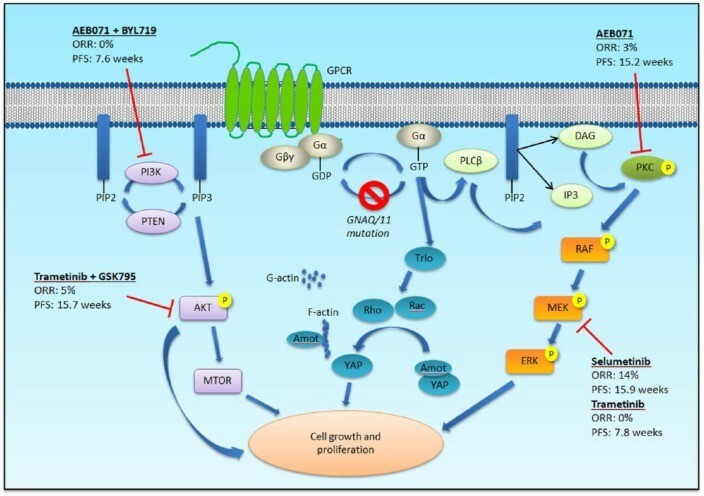 In this paper, the authors discuss the various treatments evaluated in the setting of metastatic uveal melanoma, including systemic chemotherapy, immunotherapy, targeted agents against the MAPK pathway, and liver-directed therapies. 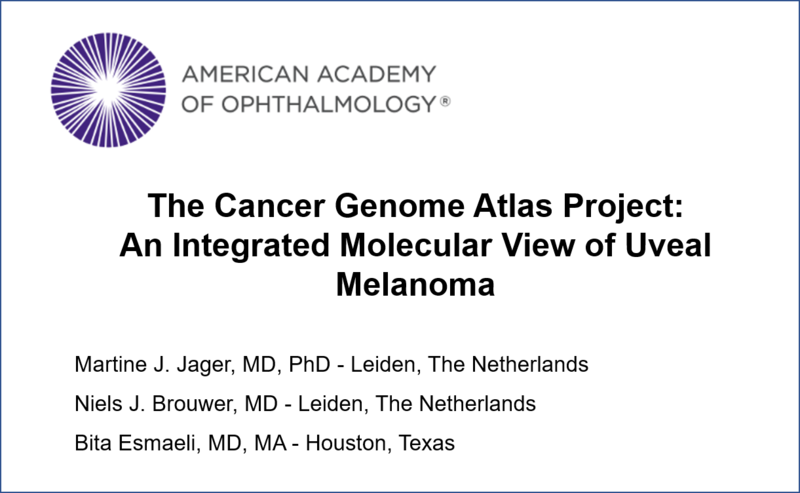 For the past four years Dr. Mehmet Doğrusöz from the Leiden University performed research under the supervision of Prof. Martine J. Jager and studied genetic prognostic parameters in uveal melanoma. 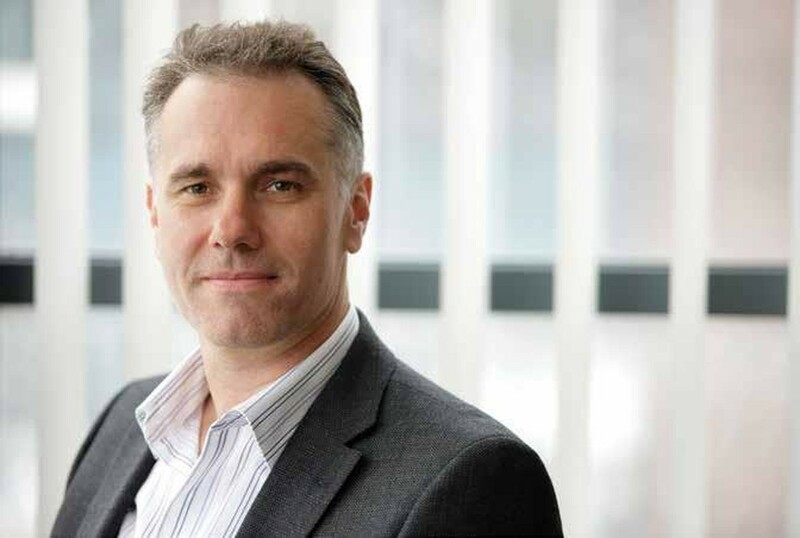 Congratulations to Professor Richard Marais, UMCURE2020 consortium member, for being elected as Fellow of the Royal Society. 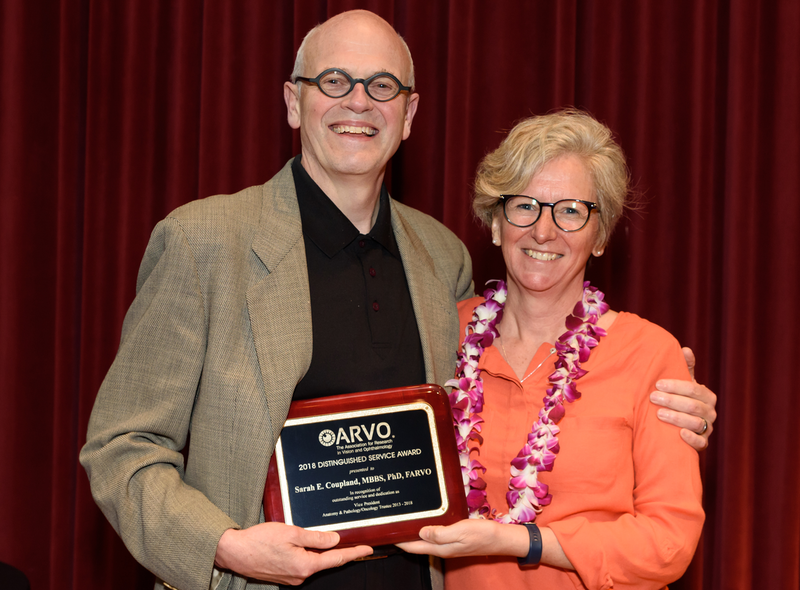 Professor Sarah Coupland honoured with a “Distinguished Service Award” at the ARVO 2018 Annual Meeting in Honolulu. 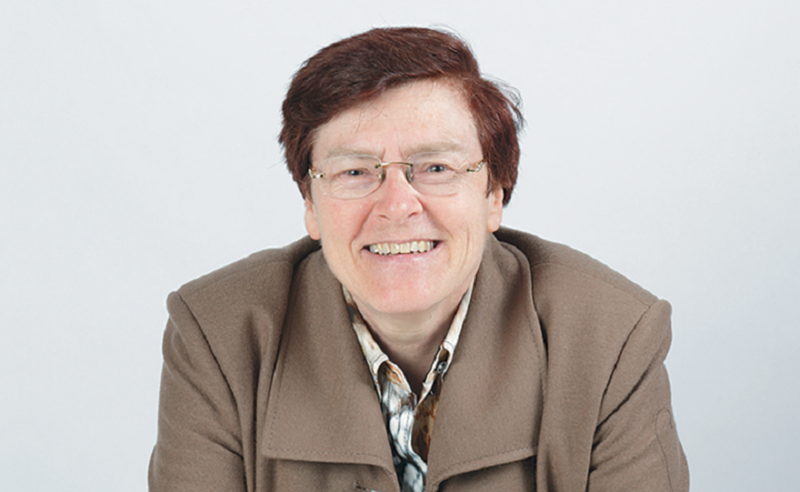 The Association for Research in Vision and Ophthalmology (ARVO) has presented Professor Sarah Coupland with a ‘Distinguished Service Award’ at the 2018 Association’s annual meeting. 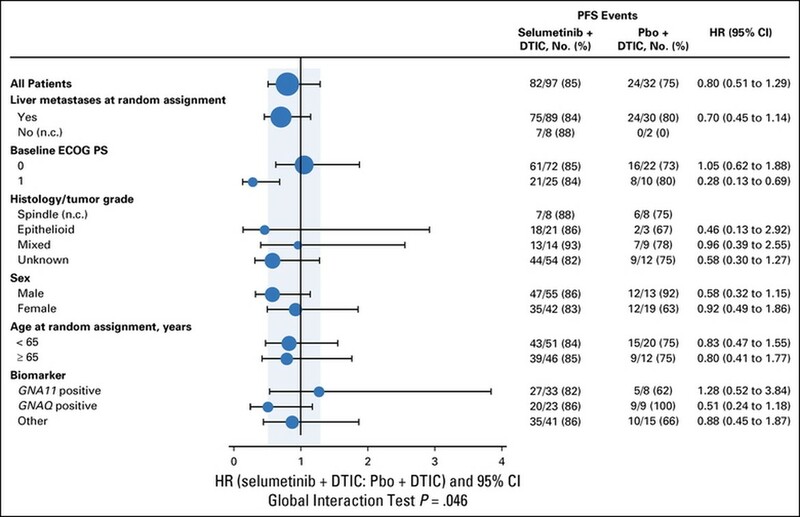 In patients with metastatic uveal melanoma, the combination of selumetinib plus dacarbazine had a tolerable safety profile but did not significantly improve PFS compared with placebo plus dacarbazine. 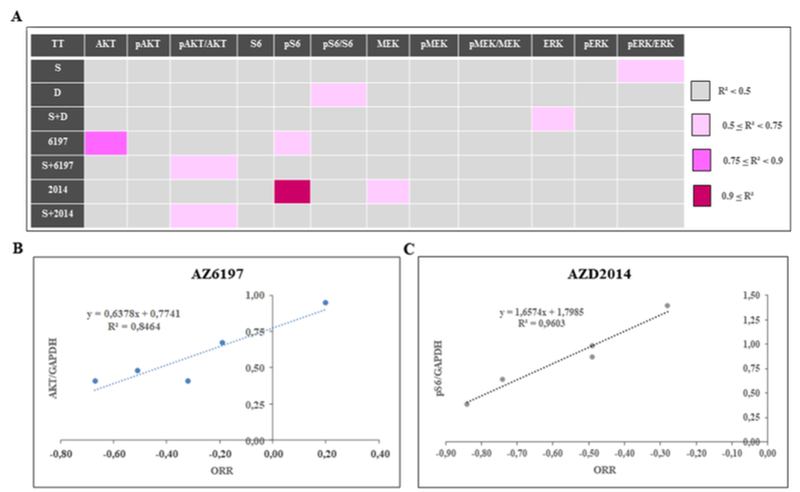 Despite the results of this study, additional assessment of MEK inhibitors in uveal melanoma is warranted. 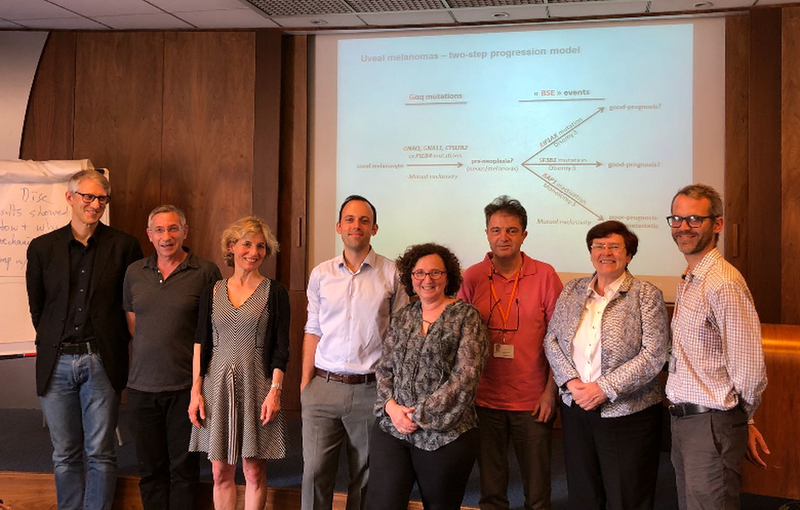 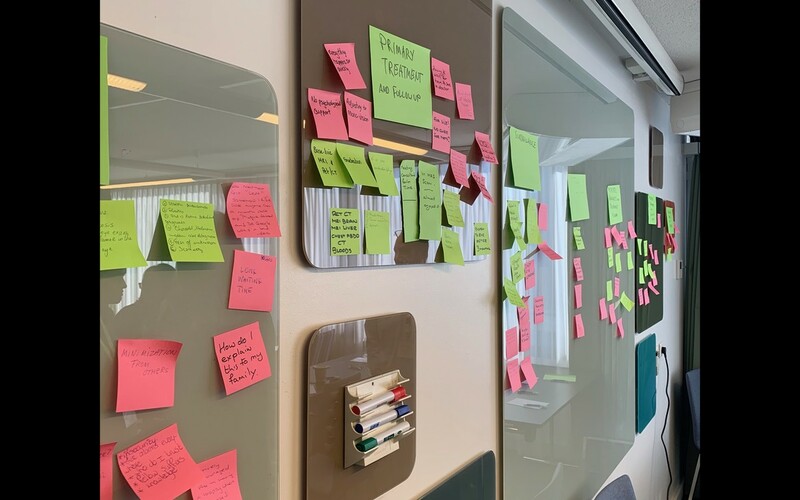 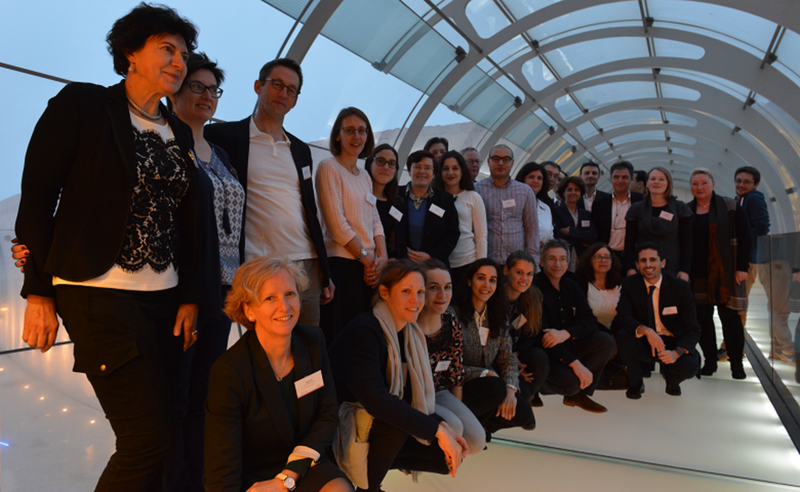 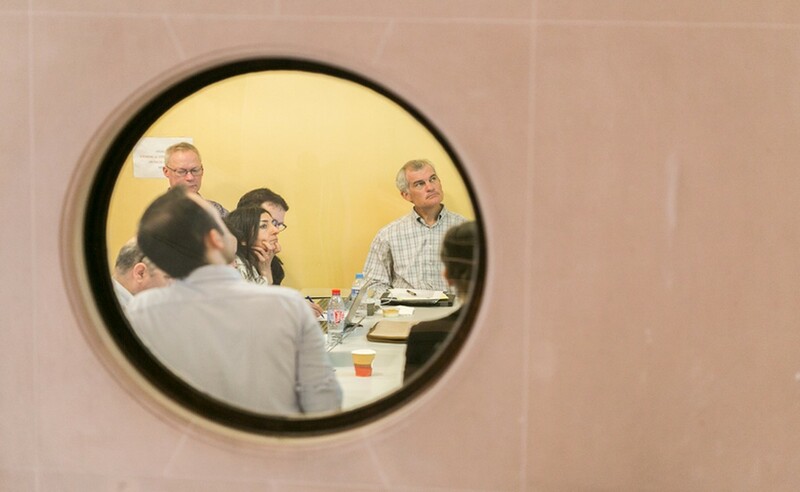 Having taken place on 18th January at the Institut Curie in Paris, France, the second meeting of the UM Cure 2020 Scientific Advisory Board (SAB) gave UMCure 2020 SAB members and partners the chance to consider the consortium's successes obtained during its first two years, as well as look forward to the work ahead. 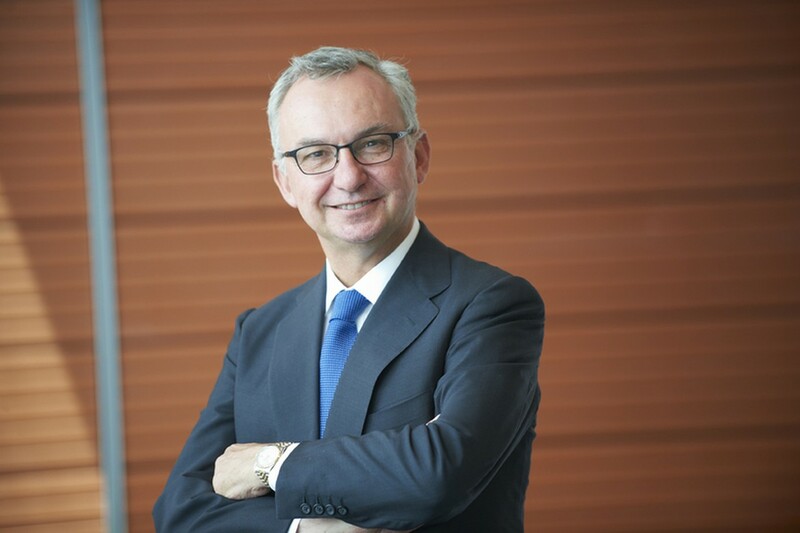 José Baselga received the ESMO Lifetime Achievement Award, celebrating a four-decade career of outstanding relevance in clinical oncology, at the ESMO 2017 conference in Madrid, in his native Spain. 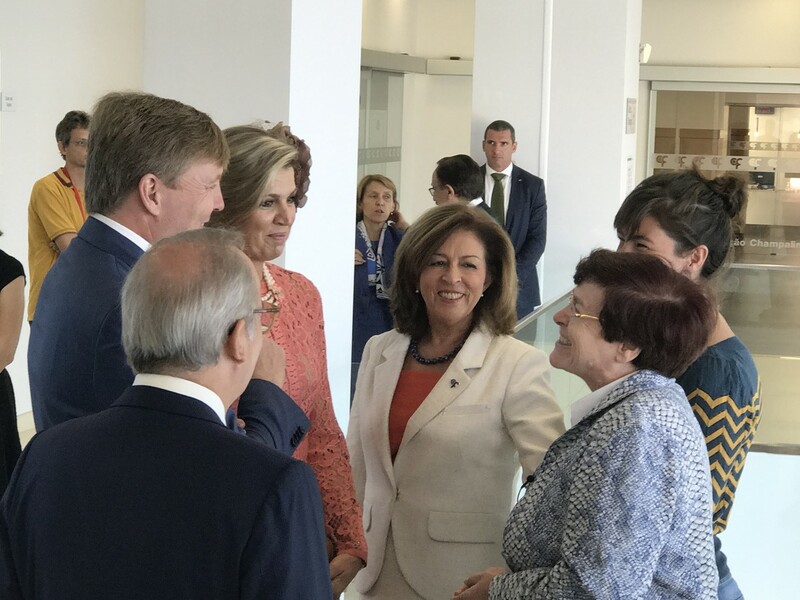 Their Royal Highnesses Queen Maxima and King Willem-Alexander of the Netherlands visited the Champalimaud Centre for the Unknown on 11th October 2017, where they were presented to the UMCure 2020 project. 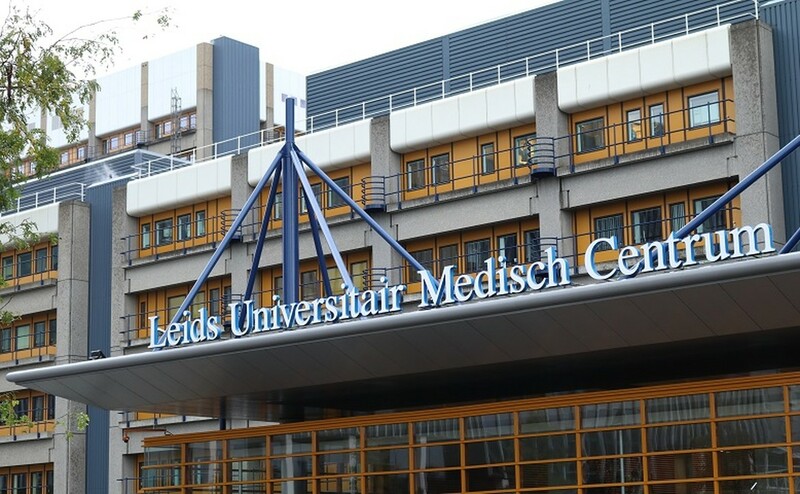 MPNE Rare 2017 was held this past weekend in Leiden University Medical Center, Netherlands. 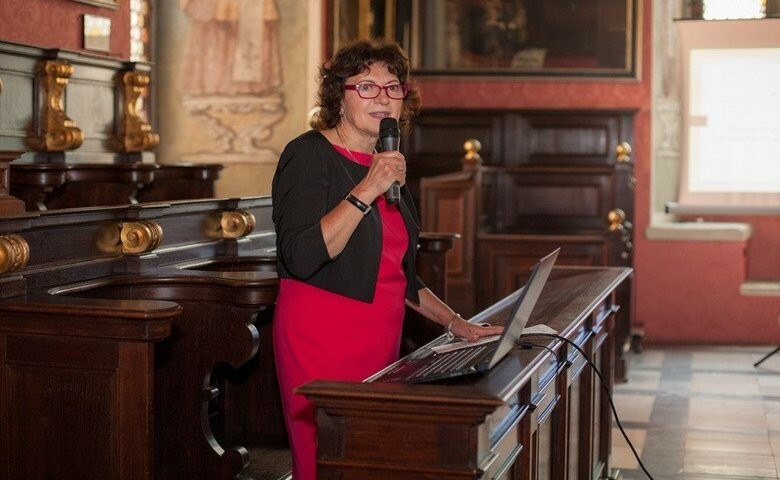 Having taken place at Jagiellonian University, in Krakow, Poland, June 15-17 2017, this was a unique gathering that emphasized the importance of consortia as driving forces for the development of new therapies for rare diseases. 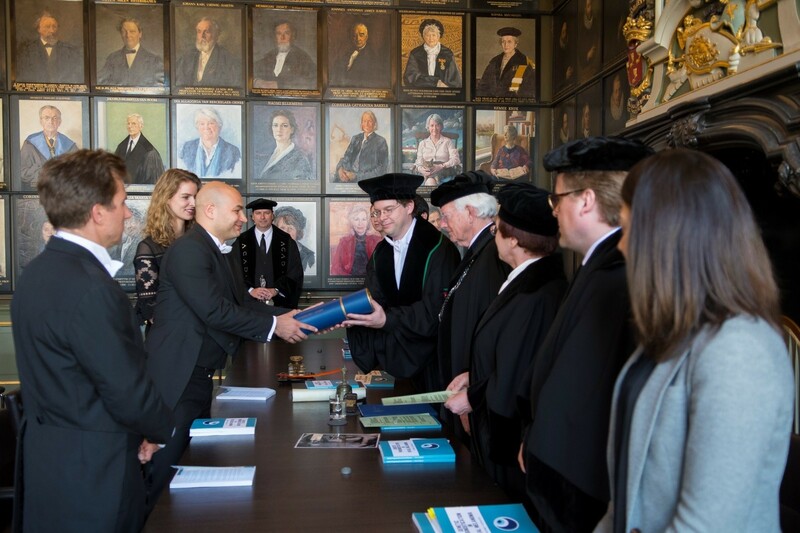 Our congratulations to Professor Coupland! 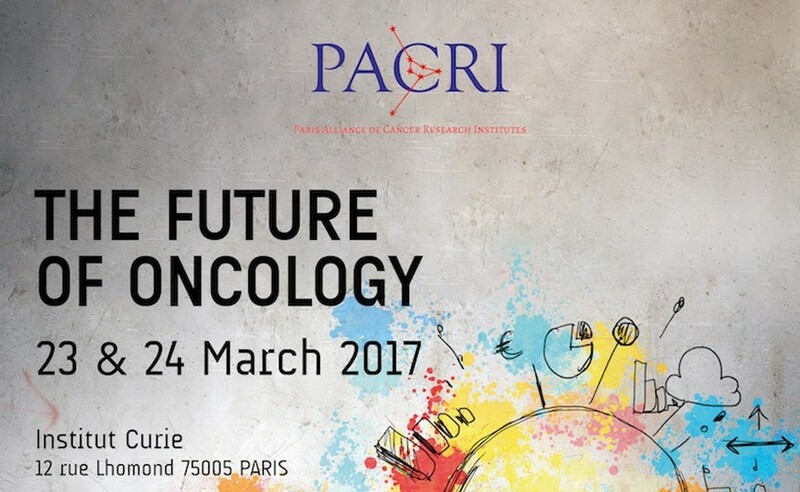 Conference "THE FUTURE OF ONCOLOGY"
Dr. Richard Marais presents the UM Cure 2020 project. 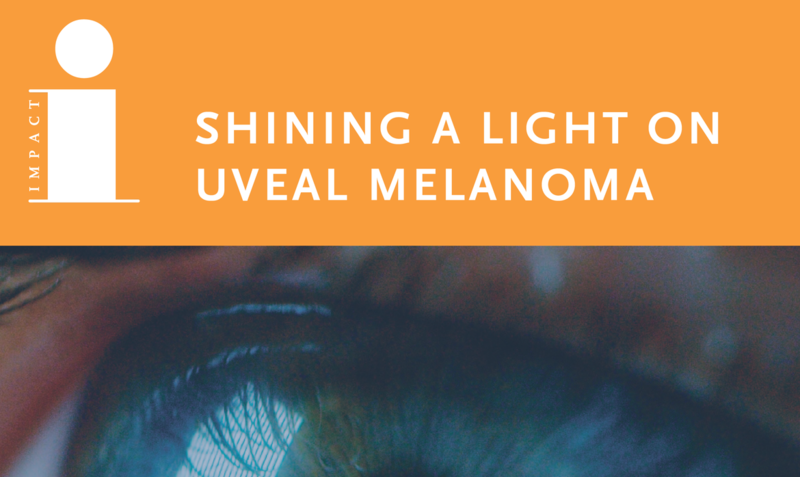 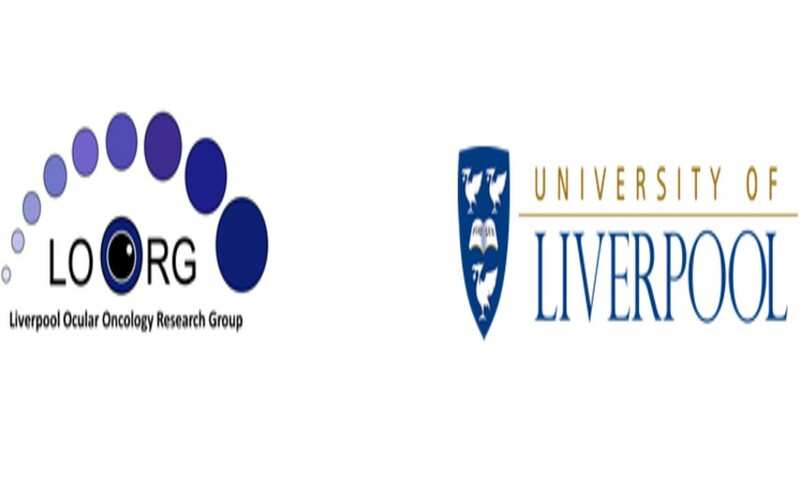 A three-year postdoctoral position funded by the EU Horizon 2020 Programme is available in the laboratory of Prof. Richard Marais to identify and validate novel therapeutic approaches for the treatment of metastatic uveal melanoma (UM). 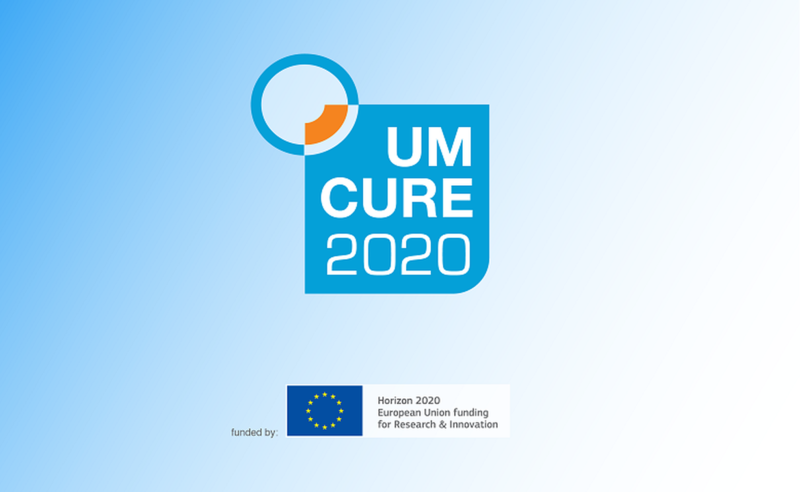 UM Cure 2020 joins in the celebration. 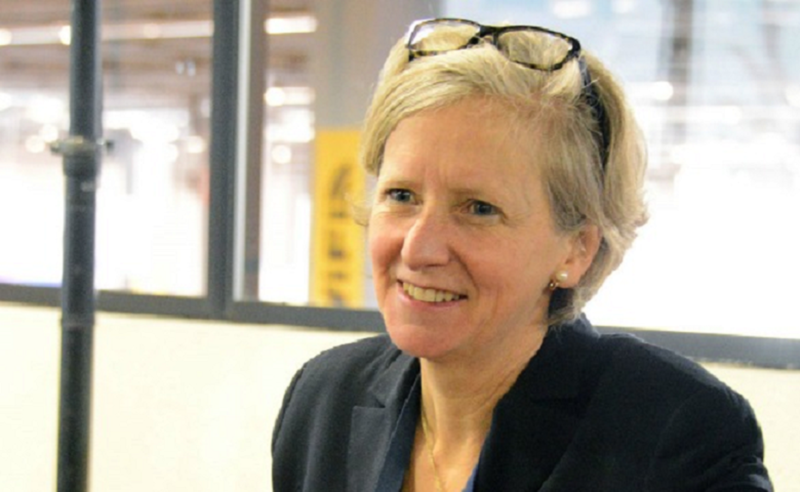 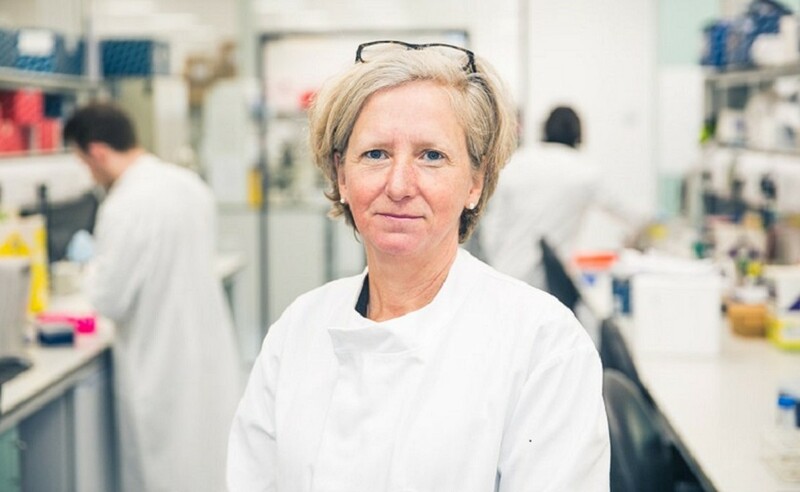 Professor Sarah Coupland, head of the Liverpool Ocular Oncology Group, was elected Vice-president of the Association for Research in Vision and Ophthalmogy, one the foremost scientific organizations in opthalmology worldwide.